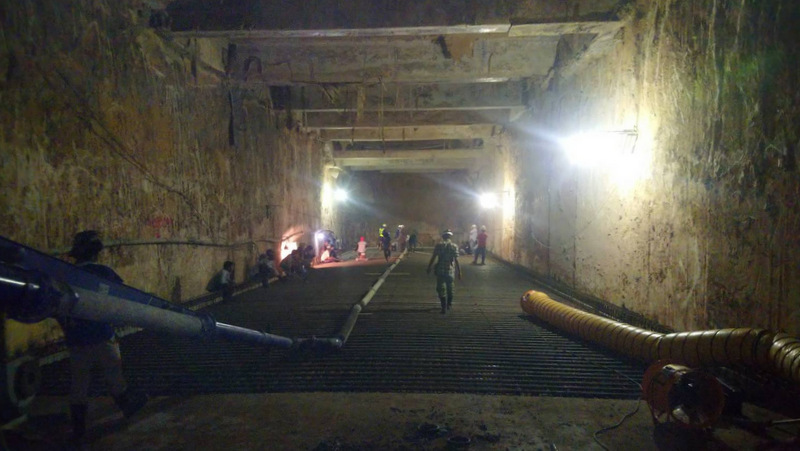 PHUKET: The Project Manager at the Phuket office of the Highways Department responsible for the ongoing construction of the B546-million Chalong Underpass says he is confident that the underground thoroughfare will be open in time for Songkran in April next year. 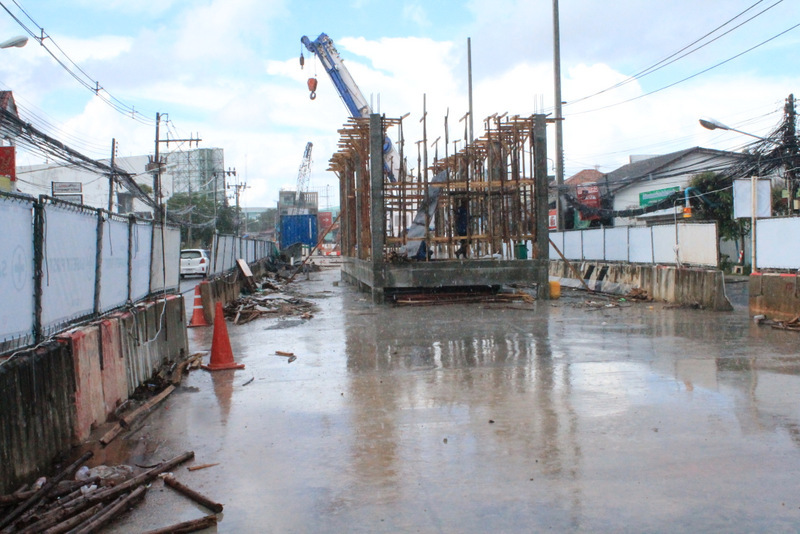 Somkiet Yimpong, Project Manager at the Phuket office of the Highways Department, told The Phuket News today (Sept 11) that construction progress of the entire project currently stands at 56% complete. That progress follows only 40% complete in March, he noted. “The construction has progressed to about 56% and is expected to be completed in April 2019,” Mr Somkiet said. “There is only 240 metres left to excavate for the underpass itself, and we are working on making the road that goes through underpass at the same time,” he added. Mr Somkiet also Chalong Circle may be re-opened to traffic as early as December. Currently huge traffic delays are created with Chalong Circle itself now closed, forcing motorists wanting to change direction at the locale to drive past the circle and then make a U-turn in order to continue their journeys. “We will not re-open Chalong Circle until the roof of the underpass inside is finished, but I expect that to be done sometime in November,” Mr Somkiet said. “Then we will have more space to switch traffic to other lanes to pave the new roads,” he said. Regarding the dangerously uneven roads with large holes that currently pass the underpass site, Mr Somkiet explained, “We cannot fix the roads because they are always busy with traffic, but we will try to fix what areas we can. “In the meantime, traffic delays will continue until this project is done,” he said. Dek, sadly, some, like you, with no expertise, want to comment on people they do not know.... oops, I just did the same thing... listen mate, how about actually backing up you stance and countering others comment, not just try and degrade people, it certainly lacks maturity. I'm so glad I have the courage of my convictions and do not need to depend on constant  disparaging of others to make my views known. Not defending the construction company, but, there were some legitimate reasons for some of the delays. Land not purchased. Slow re-positioning of power poles. Water pipes being moved. Waterpipes found when digging that no one was aware of. Removal of building. All factors beyond the contractor's control. R2,i totally agree with you.There are indeed many expats with expertise in many fields ! Sadly but true,they don't comment on here. It's not just lack of yielding,  but  ignorance that drivers should treat the circle as a straight road, and travel to the appropriate  lane  before entering so as to exit smoothly-  i.e. not cutting across lanes. Most are just too inconsiderate and blinkered to use circles. It requires civility. ematt, I believe there are many expats with expertise in many fields, I also know that many thais lack expertise in their chosen field. Actually EMatt, I think that would be a pretty good idea. Most local officials have no expertise... just good good connections. It really wouldn't take much to do a better job than these buffoons. 546m baht just because they can't educate the locals to give way to traffic! BigA, the bike seems like a time saver but certainly not safe. Uneven road surfaces. Unpredictable traffic patterns. You could end up as a Mini Van hood ornament. No matter what the circumstances, you will be at fault. Even if the van driver is responsible, a wai and 500 baht will set him free. They have nothing to fear from being reckless. Every time I go by this area there is almost no one working. This has got to be some corruption scam at the expense of everyone who wants to go through that area. Whomever is associated with this project should be investigated! There is no reason why something so simple should take years. Locals need to protest!!! Foreigners can't, because we have no rights no matter how much taxes we pay. It's a big risk that this will be the biggest fishing pond in Phuket when it's raining. @Naza12. 3 or 4 more years..Respect,a very well thought through opinion. Since I live  in this area I got quit of my car and drive a  motorbike until this beautiful underpass is finished! How nice to get from Makro to the circle in less than 3  minutes! Never understood why they decided to do a tunnel in Chalong circle. As everyone know it is the first place flooded when it's pouring rain. An overpass would have been  easier I think, less expensive and faster probably. 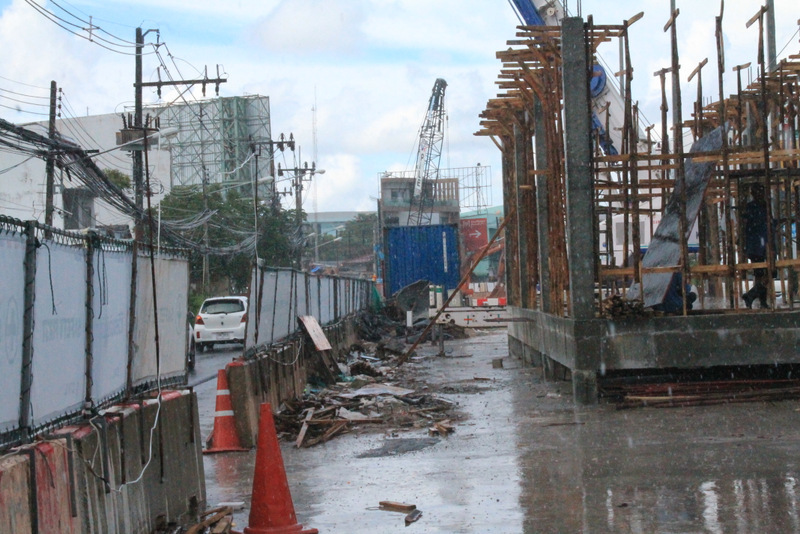 The start of Chalong underpass construction was  October 2015. The Government took the slowest and therefore perhaps the cheapest construction firm with just a handful workers. Oh, and why they not make Soi-43 ( Soi Anusorn) not a one way soi? Cars coming from Kata can drive to Chalong circle, and drive to the left ( Chaofa west road), or drive from Patak road into the soi to Homepro Village. We come to have Chalong car- parking for 3 years more before they finish ooh sorry maybe 4 Year`s. When did they start work on this? It was so long ago I forget. It's at least 2 years already, and feels like a lot more. What a shambles. But that's what you get when no one is ever held responsible for anything. Land of smiles.